Built, in 1901, in the “English Cotswold Style” of rough-hewn granite as a summer home for industrialist Allen M. Fletcher (who was elected Governor of Vermont in 1912), the 10-room Castle Hill Resort and Spa, the first home in Vermont to be wired for electricity, is on the National Historic Register and a Historic Hotel of America. 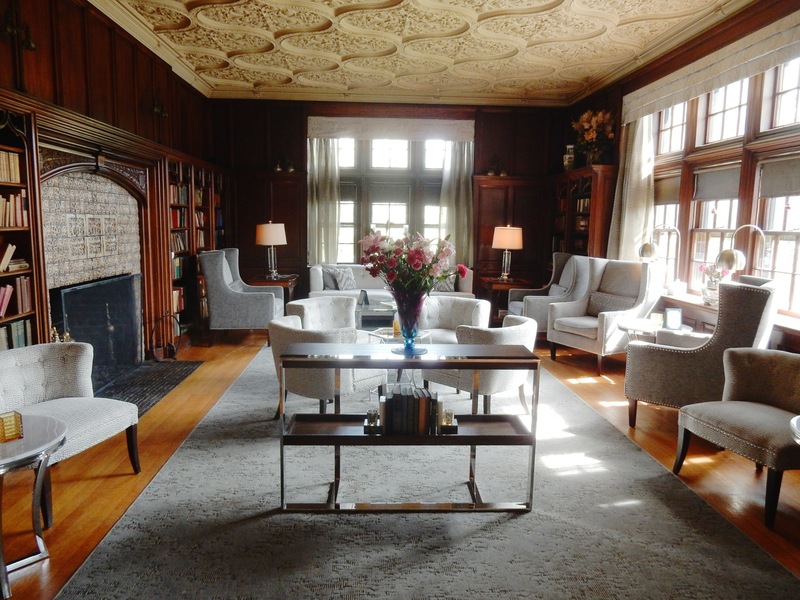 Owners have lightly updated rooms and amenities for modern visitors, but Castle Hill retains its original beauty. On 100 landscaped acres, it sits atop a hill overlooking its sister property – The Pointe – below. If you’re a rambunctious family, or are looking for a lower cost lodging, The Pointe, with motel-like rooms, is fine. But for something special – baronial even – stay in grand style at Castle Hill. The approach to the stone mansion is impressive – taking in a view of the 1889 Carriage House that now serves as the Spa and Fitness Center and a stunning stone pool area. 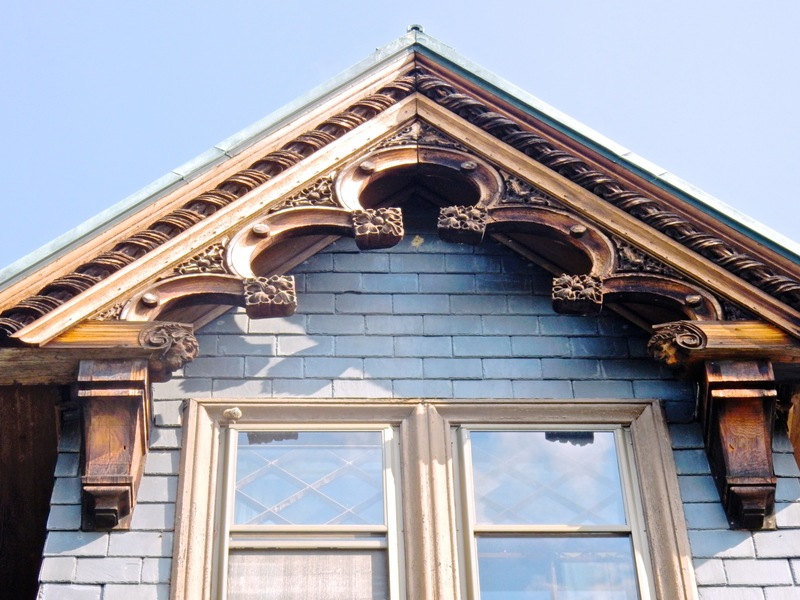 A walk around the manor yields some cool surprises, such as “angels in the architecture;” cherub faces in the intricately carved wooden trim around the roofline that lends Bavarian embellishment to an otherwise English design. Walk inside, and your eyes have to acclimate to the darkness of the polished paneled walls and 12 ft. high molded plaster ceilings. Fletcher went all out, apparently, with an eye for detail, right down to the wallpaper (original) in the staircase that mirrors the design in the library ceiling: glamorous in a clubby, masculine way. 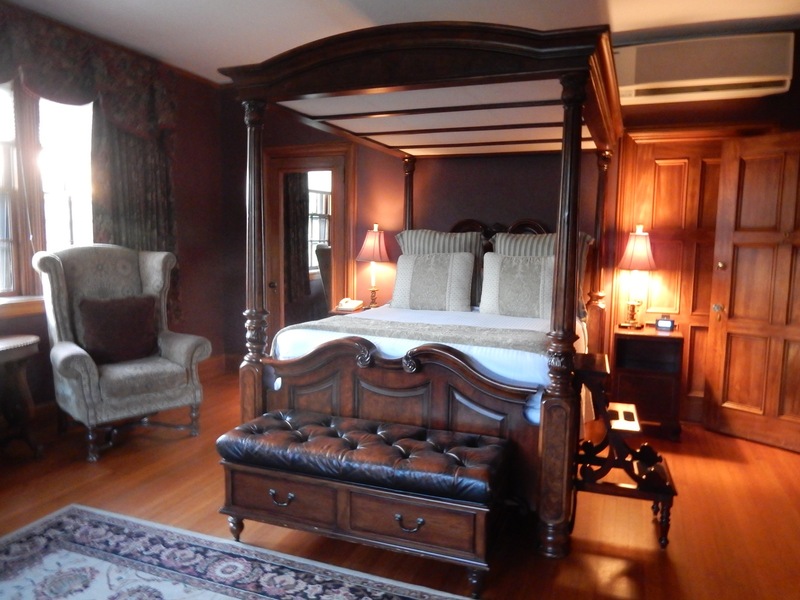 Every room is a “Man Cave” – dark paneled wood, fine fireplaces, and the comfiest of beds. All bathrooms are en-suite and are slowly being updated, though for now, some remain “vintage,” but impeccably clean. For $9.95 per person, guests get Continental Breakfast featuring yogurts, granola, fresh fruit, freshly baked pastries (my favorite), bagels, hard-boiled eggs and hot scrambled eggs. 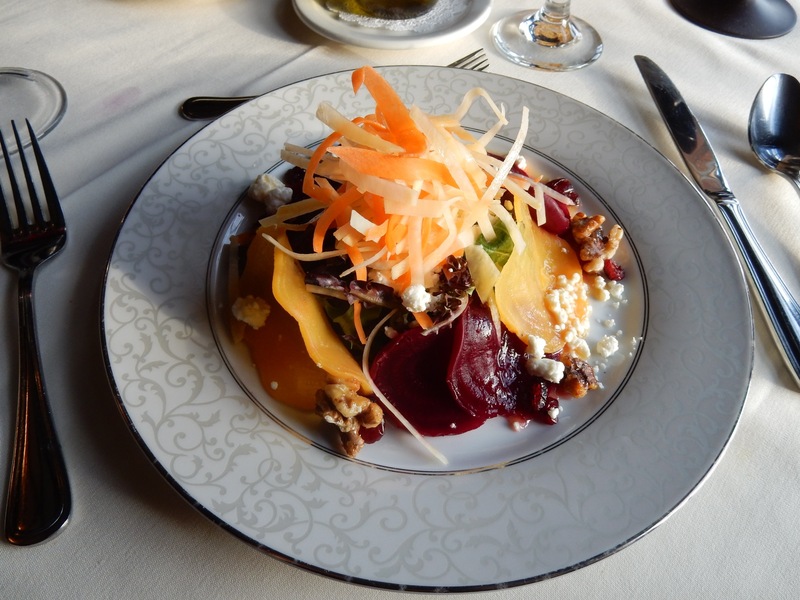 It’s served in the “Oval Dining Room” – a curved-wall, woodworked, mirrored door feast for the eyes. For dinner, though the menu items are also available a la cart, opt for the three-course price fixe, which turns a meal into a lingering experience. 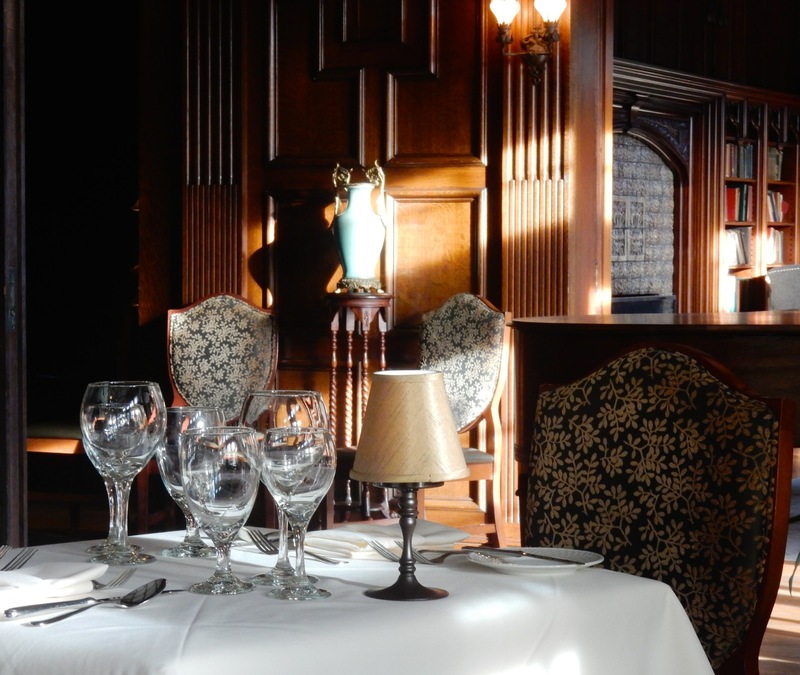 What is now the dining room was once the mansion’s billiards room, and you’re made to feel right at home. The library has been updated within the year (2016), so there’s plenty of silver grey seating that brightens up an otherwise dark space. In winter, start with drinks beside the vast fireplace, topped with original Tiffany sconces, and plastered with field and farm themed tiles. Or, in warmer months, sip wine on the patio overlooking the surrounding mountains. The stunning saltwater pool (a quick walk across the driveway) is heated year round, and is especially popular après-ski. The poolside solarium is heated in winter, air conditioned in the summer, and it’s where Yoga sessions are held for guests.Right above the pool, you’ll find hard tru tennis courts – which are lit up at night for evening play. The Aveda Concept Spa and Fitness Center is right beside the pool in what was the mansion’s Carriage House. You can actually see original harness marks on the wood-slat walls, and stall doors leading into the dry sauna area. 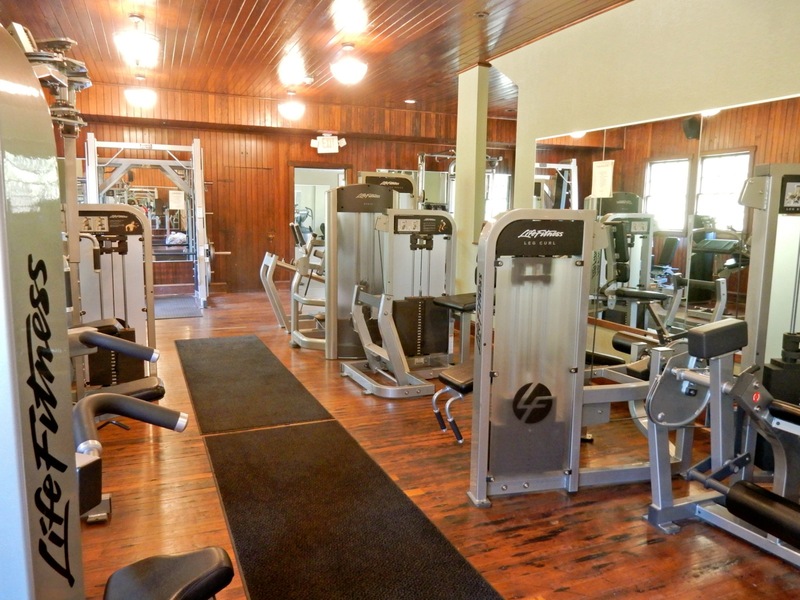 The fitness room – with state of the art equipment – features the original wood floor. 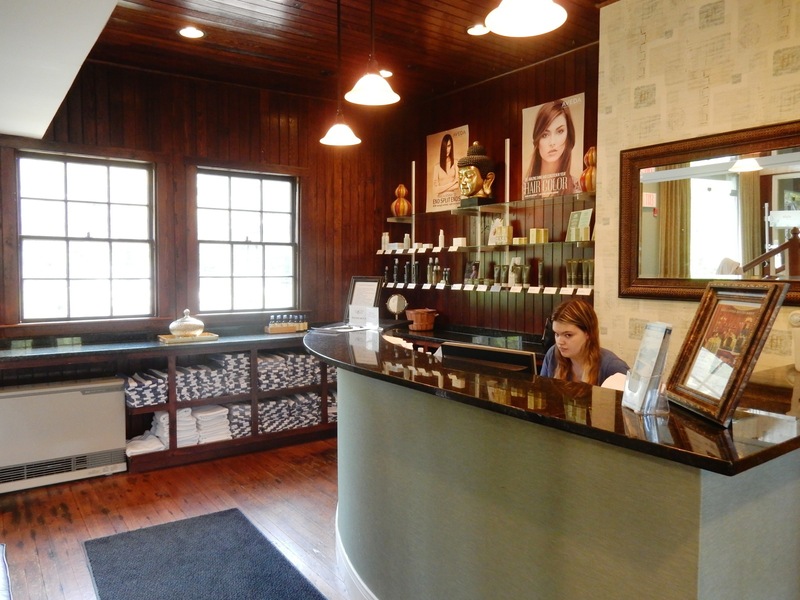 The Spa is full service, with body treatments, hair, nails, and even couples massages. 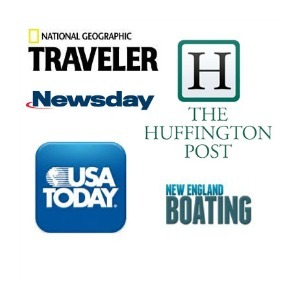 Room rates from $229-$309 include parking and wifi. 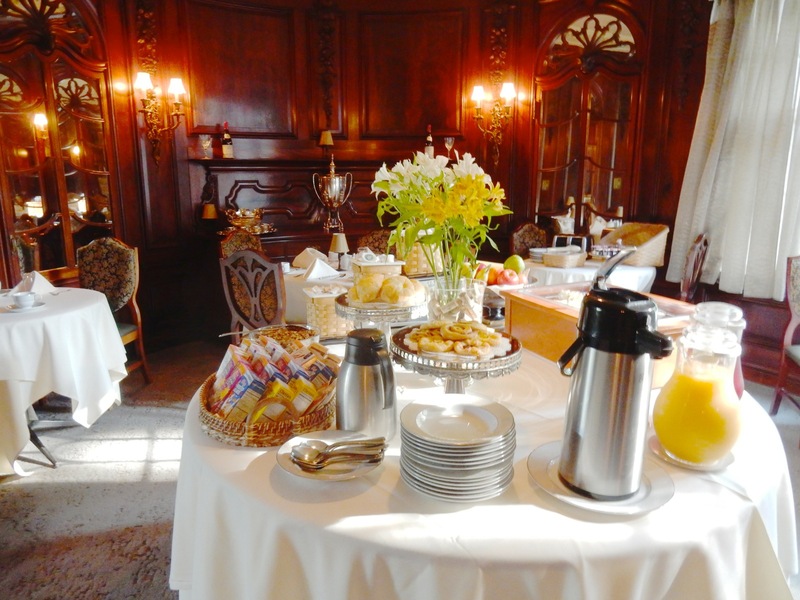 Continental Breakfast an additional $9.95 per person.